Whether conscious of it or not, we are all engaged in the search for the unknown other who might complete us and join us to the Whole. Our longing to join and come alive is our birthright. And similar to pollination, we complete the world when, opening ourselves against great odds, some strange unknown partner inadvertently seeds our essence elsewhere. I had no idea at the time, but this dream was a myth about enduring suffering and approaching wholeness. I had no idea that this dream was a parable of my journey through cancer. When I jumped into the river of life so long ago, I was looking for the unknown other that would complete me. I thought I would find wholeness through love or passion for some kind of work or in the depth of my creativity. I had no idea that the thing that would complete me was being broken open by cancer. Inevitably, we are all searching for the “fellow” — the other, the stranger, the conduit, living or not, sentient or not — the repeatable and varied bridge that might join us to ourselves and thereby to the Whole of God’s Being. “Fellow,” from the Old Norse meaning “partner,” one who lays down wealth. And the word “wealth” is from the Middle English welthe, meaning originally “well-being.” Fellow, one who lays down his well-being, not laying down in the sense of giving up or relinquishing one’s true nature, but rather in the sense of unfolding or opening the way between living things. And so we are all searching — outwardly or inwardly — for the bridge of well-being, wherever we might find it. Why? Because in moments of being bridged, we not only actualize ourselves but simultaneously are in accord with the Universe — we briefly become the Universe — the way it’s impossible in a tree erect with wind to separate its leaves from the air. It seems that difficulty is woven into the design of life, so that we need the presence of others to help us through and bring each other alive. The bridge of our well-being is often made visible when the stranger, the fellow, the completing other jars us to inhabit our life. During the last few years, I have been jarred alive by the silence of a friend as we hiked up a mountain at sunrise with her dogs. And I was yoked into the unnamed center of my soul when holding my father’s hand, as he slept in a wheelchair months before his death. And just last week, I was stopped by the twilight as it made the skeleton of a tree dance without moving. 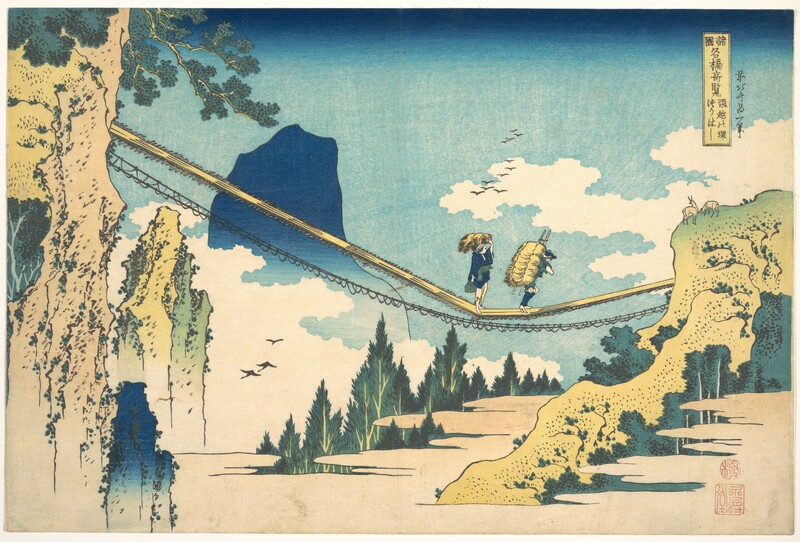 Katsushika Hokusai’s “Suspension Bridge on the Border of Hida and Etchū Provinces,” painted ca. 1830. Image by Katsushika Hokusai/he Metropolitan Museum of Art, © All Rights Reserved. Since I first had that dream twenty years ago of the young man jumping off a bridge in search of the fellow, I have been fascinated with bridges. For they always uphold the endless story of how we help each other from one point of aliveness to the next. And there’s one bridge in particular that speaks to the journey from suffering to wholeness. It is “The Suspension Bridge on the Border of Hida and Etchu Provinces,” a woodblock print by the Japanese master Hokusai. He carved and printed this in the early 1830s. In the scene, two travelers, carrying their belongings, carefully balance their way across a thin, rope-like bridge. The bridge crosses a small ravine, so high that it sways among the clouds. It’s unclear where these travelers are going or coming from. The entire focus of the woodblock is where each traveler steps. 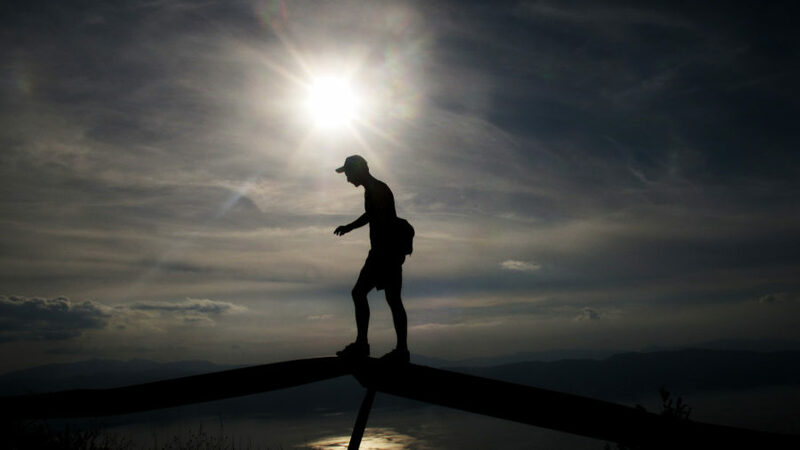 The whole world seems to bend to the point of their steps. I share this because it captures the power and poignancy of our time on Earth. We have to go from here to there, but the life — the aliveness we treasure, the company that matters — is always in the tenderness of each step. It is in each step that we find ourselves and each other. It is in each step that we hold each other up. It remains a powerful mystery that when I look deeply enough into you, I find me, and when you dare to hear my fear in the recess of your heart, you recognize it as your secret which you thought no one else knew. And that unexpected Wholeness that is more than each of us, but common to all — that moment of unity is the atom of God. This essay was adapted from "Inside the Miracle: Enduring Suffering, Approaching Wholeness" by Mark Nepo, forthcoming from Sounds True in November 2015. Mark Nepo is a poet and philosopher now living in Michigan. 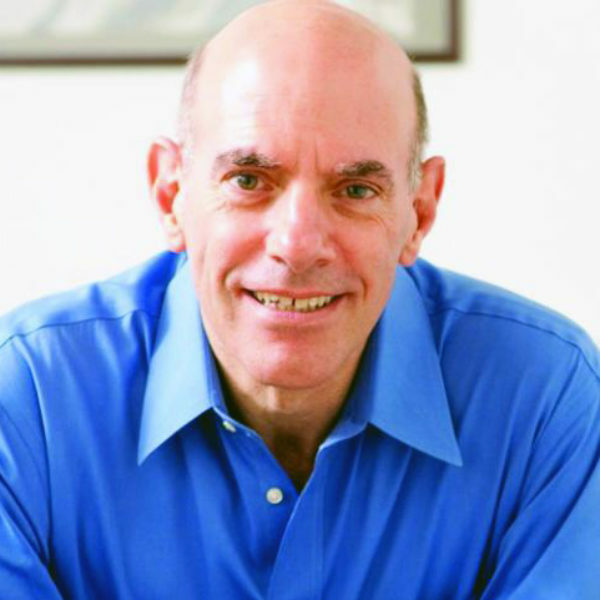 He has published many books, including the New York Times bestseller, The Book of Awakening and Seven Thousand Ways to Listen. He devotes his writing and teaching to the process of inner transformation and the life of relationship. His books have been translated into 20 languages and are frequently used at spiritual retreats, medical programs, and healing centers worldwide. Mark has been featured on Oprah Winfrey’s Super Soul Sunday and Good Morning America. Read more of his work at marknepo.com. Some emotional wounds need closure to heal, but there are times when the best way forward is to let go. Courtney Martin on mending our deepest relationships by embracing the paradox of love and imperfection.